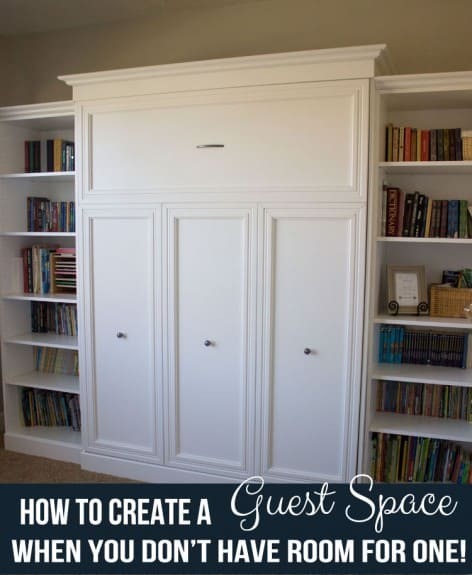 Creating a Guest Space When you don't have Extra Room! Creating a Guest Space when you don’t have Extra Room! I am so excited – literally over the moon for today’s post! We don’t have an extra room for guests and we have a lot because all of our family lives out of town. 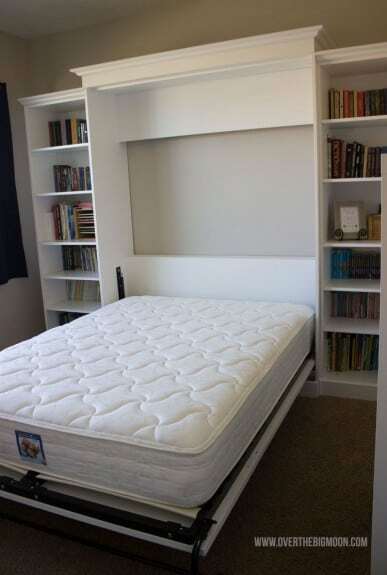 So, after saving and searching we finally found a reasonable Murphy bed! It came from Costco of all places and they even have free shipping! It did take a lot of assembly, but the instructions were pretty easy to understand. We are so happy with it! It was 1/3 the cost of other beds we had looked at. I can’t turn the whole room into a guest room, since the bed is on a wall in the playroom. But I did take 1 shelf to dedicate to our guests! 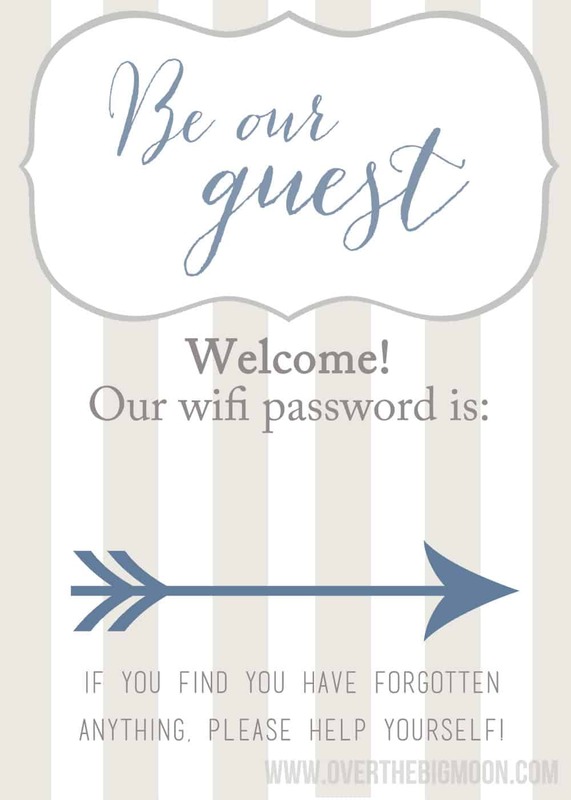 I created this printable to put in a frame. 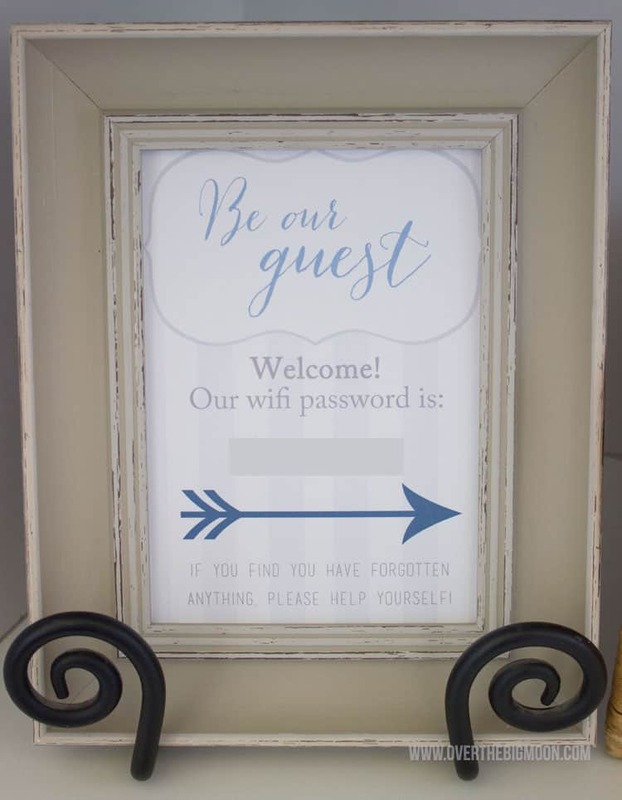 You can write your wifi password on the actual printable or you can put it in a frame and write it on the glass with a dry erase marker. 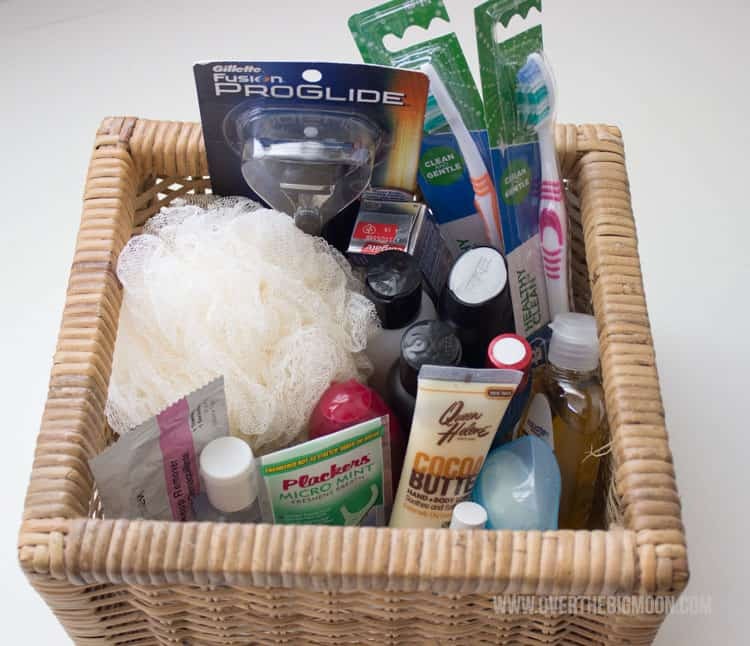 Then I added a whole bunch of fun travel sized hygiene items that guests might need. You can download the print for free personal use only. You can not sell, change, or redistribute in any way. 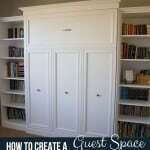 Now we have a fully functioning space for guests without sacrificing tons of space in our house! Previous author of Over the Big Moon. 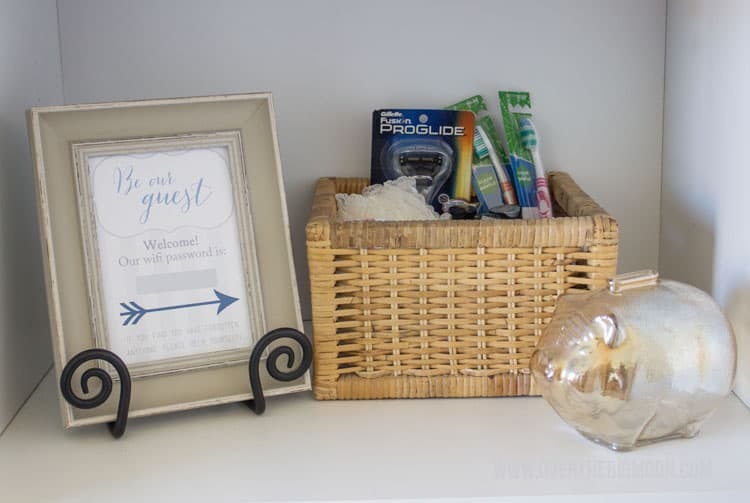 I shared my passion for home and family life! I love graphic design, DIY projects, cooking, and working in my garden! My favorite role is taking care of my husband and our 3 amazing and busy boys! Awesome idea!! Love it! It was great meeting you guys this weekend! Over the Big Moon, LLC is a participant in the Amazon Services LLC Associates Program, an affiliate advertising program designed to provide a means for sites to earn advertising fees by advertising and linking to amazon.com. Exploring all phases of life. The images, tutorials and content on overthebigmoon.com are protected by copyright laws. DO NOT distribute or copy the content or share multiple images (including collage images) without written permission. DO NOT edit, crop, or remove watermarks from any image. For questions contact us at pam@overthebigmoon.com. This site contains affiliate links, which means that I may get a small commission if you decide to purchase anything from suggested companies. I recommend products that I use and love myself or that I think would be a helpful resource. Using these affiliate links to make your purchase helps support Over the Big Moon and allows me to continue to provide you with quality posts. You will not be paying anymore if items are purchased through affiliate links.